My wife and I took in the new Marvel Comics Avengers movie last night. We both found it well written and very entertaining. Beyond the usual action packed and high tech cgi extravaganza that defines Hollywood these days, I was impressed with the subplot beyond heroes saving, as they always do, the Earth and humanity, either from itself or, in this case, from other alien invasions. That theme running throughout was the power of a shift from thinking about oneself to a consciousness revolving around the greater good. * Wall Street profits while main street carries on in stress and anguish. * Wealthy individuals and corporations unleash their resources in hopes of buying election results to shure up future fortunes while the middle class is bombarded by propaganda in hopes of having them vote against their own best interests. * Healthcare for all is still debated as a privilege instead of a right. 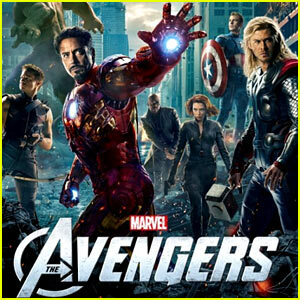 Enter the Avengers, a group of larger than life super folk who are called upon to save the day but now as a team. They spend much of the movie infighting about who is really heroic. In the end, they act together and, in so doing, they evolve. They are transformed and their greatness comes from having each other’s back and shared sacrifice for the good of all. In order to take on evil they first need to get beyond their own ego, pride, and sense of singular purpose. The message is a New Testament message cloaked in secular dress: We are each other’s keepers and we find our purpose more in serving others than in pursuit of our own sense of what we need do to feel special. Finding our ordinariness is the surer path to unleashing our inherent greatness. The other way around simply begets pomposity, arrogance, and self- inflation. That Hollywood has produced this is less a testament to its wisdom and more a reflection of the Spirit moving within us. The archetype of the servant leader is resurfacing. It emerges in propitious and momentous times when the darkness is sold as if it is the Light and the true light is discussed as if anachronistic, a throw back to simpler and uninformed times. We hear a mantra from some that government is a business and needs to be run with attention, first and foremost, to the balance sheet. I get all that but what about the soul of the Nation and it’s values. If we lose that we lose the Nation. Should we not instead slow down and ask ourselves: What point is there to government if it isn’t first and foremost about all the people. Why is caring portrayed as weakness and slashing budgets for schools and social services touted as wise and responsible conduct. Are we not sacrificing the long term for a short term and simplistic “fix”? May we govern with a sense of the real gift of liberty: to empower the Nation by serving all and, by doing so, enable our true greatness. Indeed, we need such a cadre of leaders who have the same spirit discovered, in the end, by the Avengers. © Brother Anthony Thomas and The Harried Mystic, 2010. Unauthorized use and/or duplication of this material without express and written permission from this blog’s author and/or owner is strictly prohibited.